The MU750D is the wholesale club model # (i.e. Costco, Sams Club model number). There are no notable features changes. "This 4K TV will not look better than a very good 1080p TV with standard and HD signals, but wait!, there are no more very good 1080p TVs." 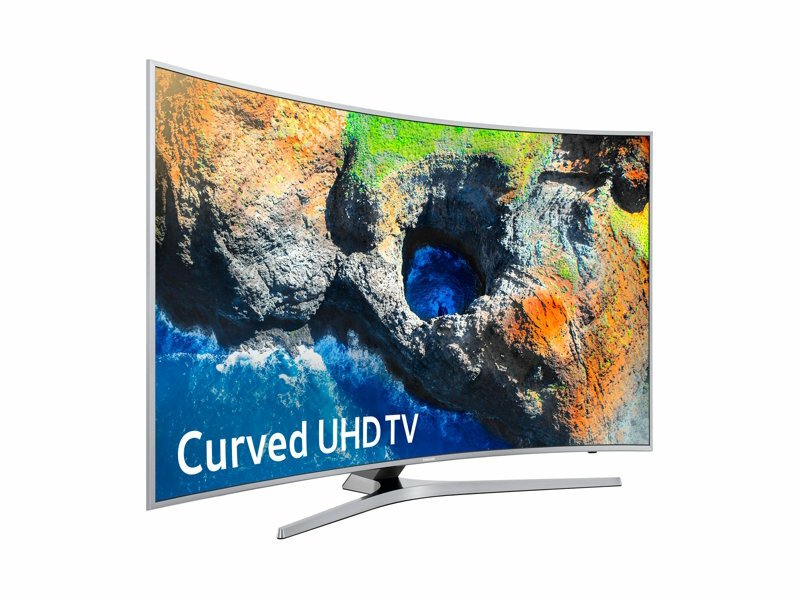 The MU7500FXZA 4K LED TV from Samsung is one of the best priced 4K offerings in the marketplace. It has ample features like Smart TV and remote control, UHD Picture Dimming, 4K HDR Pro, 4K Color Drive, HEVC 4K streaming decoding, and a contrast enhancer. You pay a little more for the curved screen of the MU7500 over the MU7000, but it does add a nice updated touch. Generally, with scaling you get what you pay for. This is an area of great differentiation among 4K TVs. Some of the more expensive ones will have much better scalers. But, the 7-series does a reasonably good job for the price point. Scaling is exceptionally important since most of the TV we watch these days is streaming from Amazon, Netflix, HBO...or 720p cable. A TV's upscaling will never be able to make as much difference as the original signal source, but it can create cleaner, sharper image edges in the best case. The MU7500 does a good job presenting streaming and 720p signals. The scaler is not of the cheaper variety. This 4K TV will not look better than a very good 1080p TV with standard and HD signals, but wait!, there are no more very good 1080p TVs. The manufacturers stopped making them. While not the most robust scaler, the MU7500 gets a good score for the price of the TV. The light flow through created by the Samsung LED backlights has been a major positive for the last couple of years and continues with this UHD offering. It's one of the TVs best characteristics. Some complain that it can cause screen uniformity issues, but the MU7500 does great job with black uniformity and a good job with gray uniformity. To tone down the LED backlight from causing some uneven screen uniformity issues turn the backlight setting (found in the picture settings menu) down to a more reasonable level – around 80% is what we recommend. This will keep screen uniformity issues from arising and you still have plenty of brightness from this bright LED TV. Having powerful LED backlighting in case you need it for super bright room conditions is a plus. The one area that edge-lit LEDs really hurt are local dimming, which is not a good feature on the MU7500. It's not effective in increasing contrast. The MU7500 employs Samsung's new Color Drive Pro which is still a step down from the QLED models with Quantum Dot. But it's a step above the MU6300 with a wider color gamut for potentially capturing more HDR color information. The MU7500 is has an average performance when viewing HDR material, it's certainly a step behind some of the better models. One thing we like about this TV though is color accuracy and ease of calibration to get a very passable picture. The native panel refresh rate is only 60Hz for the MU7500, so you will see some judder on those movie scenes with side to side panning. The backlight manipulated Motion Rate is 120. This is another compromise for a lower priced TV. This is not to be confused with fast action sports performance. Motion blur from sports is actually negligible if non-existent. It's 24fps material, movies where you will notice the judder the most. You can always add the Telenovela effect by using the Auto Motion Plus feature and get rid of some or all of the judder. The MU7500 Smart TV operation is fast and efficient. The 7-series does not get the top Samsung Tizen OS Smart Hub of the top models, but instead gets a similar Smart Hub suite to last year with the same basic design. Samsung hit the mark with their user interface and intuitive navigation. This time around you will see the Game tab as one of the major smart TV pages. The On TV page allows for individual logins. This means different members of the family can have different recommendation settings. This is a big plus for a home with multiple TV users. The Smart Hub for the MU7500 includes a full web browser. The MU7500 has a nice design with a half inch border charcoal matte frame surrounding the screen. The screen is of course curved for a more modern look on a table stand. I'm not a fan when wall mounting, but on a stand I like it. I like the stand design and in general the straight forward look of this TV. It tapers up from the bottom to the top in the back to give an interesting and modern appearance. 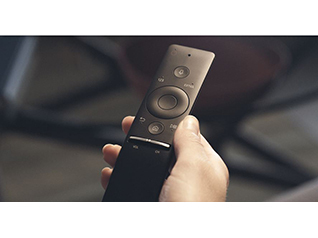 The MU7500 has a nice upgraded remote control complete with touchpad, 5-way controller or voice control. It helps with browsing and streaming TV functions. There is plenty of volume from the inbuilt down-firing 10w speakers. It's not what I would call high quality defined audio, but it gets the job done. A separate sound bar is not necessary, but would improve your sound quality. The 7-series is DirecTV ready for 4K content. The TV has built in Wifi, and plenty of HDMI inputs (3) and 2 USB inputs. It also has mobile to TV mirroring and a Game Picture Mode for gamers. The active crystal color system's wider color gamut should enjoy more benefits from HDR content, but it scores much lower in HDR quality than the higher end MU9000 or Q7 models above it in HDR. There is a Game Mode for gamers. This is a good gaming TV with around 28ms input lag when Game Mode is enabled. It has dual band Wifi included. Obviously, the MU7500 adds the curved screen element. The UHD Dimming feature really does not qualify as local dimming and does little to enhance contrast in various areas of the screen. 3D is not included. 120Hz native panel is not included. Even though the MU7500 has HDR compatibility, it does not have a very wide color gamut for enjoying the best benefits of HDR. Even though the 7-series does a good job of up-conversion, it does not have a highest end scaler. The MU7500 includes a scaled down version of Samsung's Smart Hub rather than the top of the line Tizen OS. UN65MU7500 - $1699. If it had a higher Hz rate I could go “all in” on the 65 inch model. That's one of the only drawbacks. Still a great deal. UN49MU7500- $949. About the best quality you will find in the market for this size TV. It's a little more expensive than the flat version MU7000. You pay a couple hundred more dollars for extra features and picture quality than for the MU6500 below it, but it's work it. UN55MU7500 - $1097. Price the same as the 55MU7000. A great deal and value. The 120Hz panel is not as big a deal at this size. The MU7500 has a sharper design, Color Drive system and wider color gamut, and Smart Remote control as the three upgrade features above the MU6300 below it. As the second lowest price Samsung 4K TV this year, value is an important aspect of this TVs appeal. Pricing is very appealing. It has the “stuff you really need,” in a TV these days.